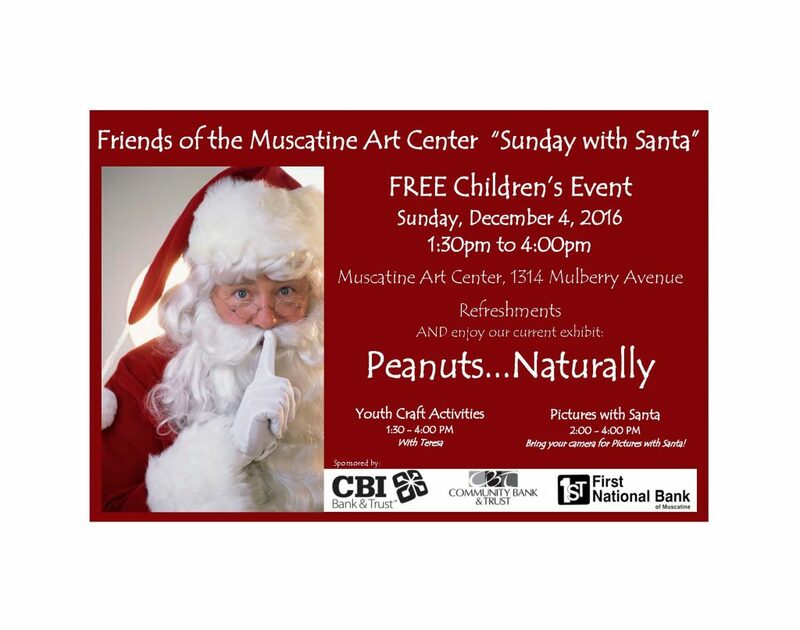 Join us for a FREE children’s event at the Muscatine Art Center. Youth craft activities run from 1:30 – 4:00 PM with Teresa. Santa will be here for pictures from 2:00 – 4:00 PM. Please, bring your own camera for pictures with Santa.